Rust protection has seen considerable advancements in the last few decades. Rust proofing services are an ideal way to provide full protection for your vehicle from environmental elements. What are the most effective rust protection solutions for the current generation of car owners? An excellent choice for rust proofing in the Brampton area can be found at Valvoline Express Care. The combination of training and experience make the rust proofing technicians at Valvoline an exceptional resource for protecting your vehicle from rust and corrosion. What are the basic steps for effective rust proofing? There are three main steps that need to be taken to ensure your vehicle is protected from damaging rust. Not only is rust unattractive, it is also harmful and dangerous to your vehicle. If it is left unchecked too long it can cause serious issues for your vehicle and your bank account. Knowing how the oxidation process works is key to predicting where rust will occur. Rust is formed when metal comes into contact with oxygen and moisture for an extended period. It is important to educate yourself about rust, so you don’t have to take the word of others trying to make a buck. For the most effective rust proofing Brampton has to offer, Valvoline Express Care is your solution. Any bit of exposed metal on your vehicle is vulnerable to rust. For example, all it takes is a tiny stone flying up off the road to expose a piece of unprotected metal. From there, the rusting process can accelerate quickly. These are a few areas that pose the highest risk, but any metal component on your car is susceptible to rust. Brampton rust protection can help prevent rust before it even starts. When it comes to rust protection, prevention is certainly the most effective method. Chips in the paint job are also a likely area for rust to appear. It is possible to remedy this type of problem with touch ups or light sanding, but it is important to know what you are doing, or your will just end up causing more damage. Keeping your car clean on a regular basis can also help prevent rust. Dirt can collect in the cracks and underbelly of your car. This can lead to release of moisture that comes into contact with metal. From here rust can spread aggressively, especially because these areas are not typically seen and can easily go unnoticed. Salt is another accelerant for rust. The winter season means your car will be exposed to heavy doses of road salt. This salt can also get stuck in small crevasses, and lie dormant until the weather heats up. If you are buying a new vehicle, car dealers will usually caution against paying for rust protection. The argument being that cars today have more galvanised steel which is resistant to rust. 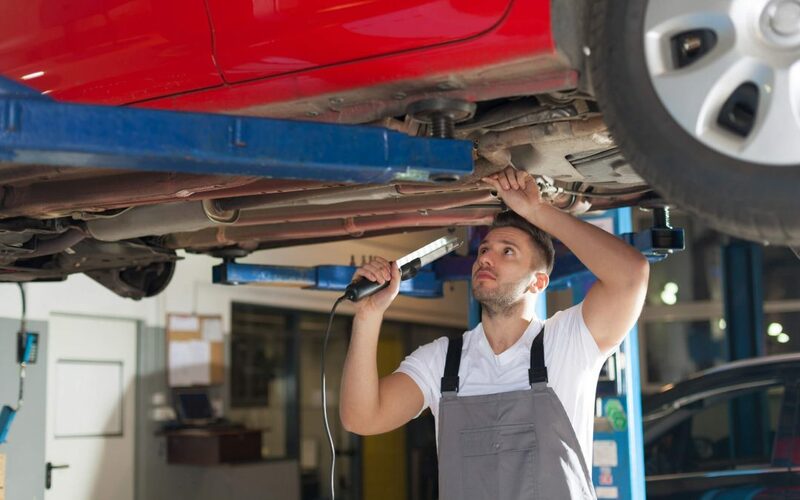 However, if you want to provide thorough and comprehensive rust protection for your vehicle, then Valvoline Express Care Brampton the recommended answer.